Since being inaugurated in January 2017, President Donald Trump has been highly critical of the media and what he refers to as "fake news." In this late-night series, a fictional version of the president decides to bypass the mainstream media and address Americans himself by hosting this weekly show directly from the Oval Office. "The President Show" has all of the segments of a traditional late-night talk show -- desk segments, field pieces and guest interviews -- but they come from President Trump's unique viewpoint. Vice President Mike Pence (portrayed by actor Peter Grosz) serves as the president's sidekick. 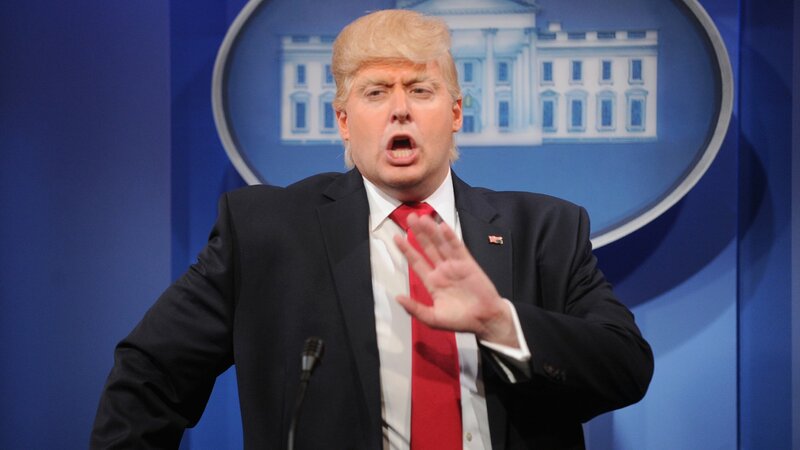 Comedian Anthony Atamanuik, who created the show, stars as President Trump. The most winning-est president in history sits down with journalist Keith Olbermann. Dan Savage visits "The President Show" to tell Trump what a great job he's doing (presumably). Linda Sarsour, co-chair of the 2017 Women's March, discusses activism and more in the age of Trump. The smartest, handsomest president ever welcomes alternative medicine advocate Deepak Chopra. The president goes on a journey overseas, shows off his souvenirs from other world leaders and chats with S.E. Cupp. Dr. Michael Eric Dyson stops by "The President Show" to discuss race in America and more. Former CIA operative Evan McMullin talks about the fake news surrounding the president's ties to Russia. Comedian Bassem Youssef drops by the Oval Office to swap jokes with the president. Actor, writer and comic Matt Walsh wants to see how politics works in the real world. The president sits down with Rolling Stone reporter Matt Taibbi. Joy Behar ("The View") visits "The President Show" to praise its very smart host. Carole Radziwill chats with the Big Apple's greatest export: the president of the United States. Ana Marie Cox of the New York Times Magazine stops by to chat with the leader of the free world. Civil rights activist DeRay McKesson sits down with the president. The president sits down with Our Revolution president Nina Turner.